We are very excited to share with you the wonderful two days spent at Hockerill College with a team of researchers from the Korean Institute of Curriculum (KICE) and Evaluation. As the National Coordinator for ASPnet in the UK, we were contacted by KICE to help them approach schools in the UK that would be part of their research on Global Citizenship Education (GCED). This research is being conducted in six countries namely Korea, Germany, Singapore, Thailand, United Kingdom & USA. The final paper will be published by end of this year. It was a pleasure to facilitate this research in the UK and also accompany the researchers Ms. Soo Jung Lee and Ms. MeeJee Kim to Hockerill College in Bishops Stratford on 5th & 6th June 2017. This gave me an opportunity to interact with one of our more active members. We are very thankful to the college staff who took out time for us in spite of their busy schedule amidst student assessments. Special thanks to Ms. Shamiela Davids who made our visit a very enjoyable and enriching experience. Hockerill College takes great pride in being a UNESCO ASPnet school and ensures that the universal values and ESD themes are integrated across the college’s academic and co-curricular activities. The team was able to observe lessons and interact with students. Ms. Soo Jung Lee gave a very informative presentation on the Korean Education system and the GCED research. This was well attended by teachers and a very motivated student body who take a keen interest in international development and education systems. They posed several questions about the educational system particularly how students chose institutions of higher studies and the assessment process. We were able to meet teachers and department heads in charge of the different subject areas. The college’s extensive Languages department and Social & Cultural Anthropology units were of particular interest. Our discussions covered several dimensions from the importance of global minded teacher attitudes to organizing an Indian Curry event as part of a fundraising project by students and efforts made by eco-captains for preventing waste. Overall it was a great experience. The excitement of the Model United Nations presidents from the student body was heartwarming. They were very excited to meet someone representing UNESCO ASPnet and sought advice on careers in humanitarian and diplomatic fields. The college organizes Model UN days every year and selects presidents who are responsible to carry out certain responsibilities. 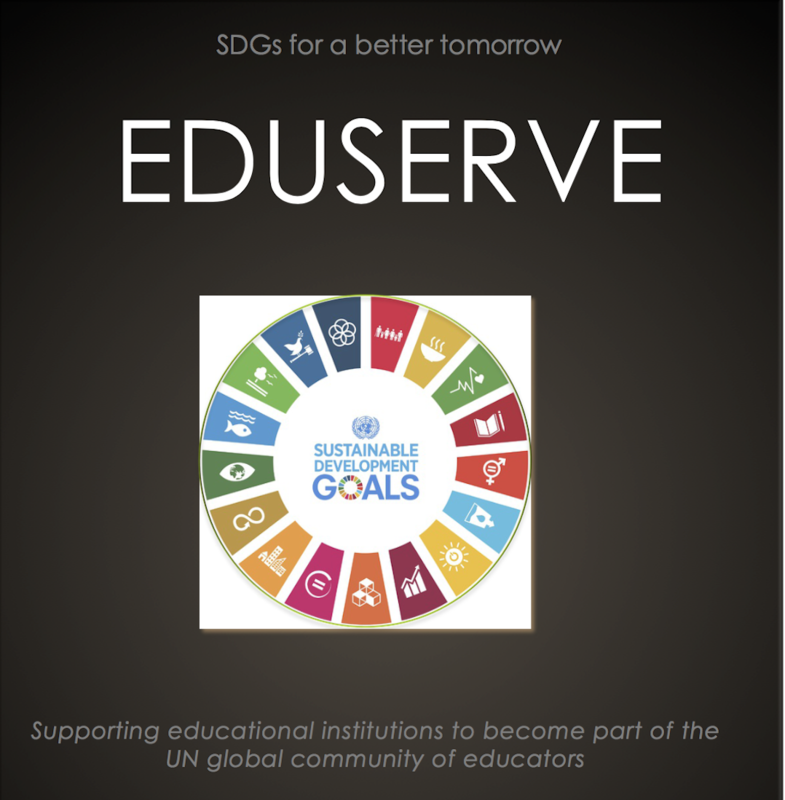 As the researchers took notes on GCED practice, I was able to interact with teachers and students and talk to them about the Education 2030 Framework and encouraged them to relate their activities to the Sustainable Development Goals and see how every little action they take has a global impact. In a lesson with Year 12 students the teacher explored what the students perceived as the main global issues. Responses included environment, artificial intelligence and mental health and wellbeing. One of the students also spoke about the Millenium Development Goals while another questioned why the new framework now has 17 goals as opposed to lesser goals earlier. Sparking this interest and initiating a dialogue will surely result in better student outcomes for the SDGs. A personal highlight for me was when I was invited to participate in a lesson that talked about Malala Yousufzai. This was a literature lesson for Year seven and the teacher wanted to give students a broader and positive image of Pakistan and interact with a woman from Pakistani origin who had a different journey than Malala. This also reflected the school’s efforts to provide opportunities for students to look at events and people with an open mind. We left the school after discussing ideas for future collaboration and in particular making the ASPnet community more vibrant and interlinked. As part of our engagement strategy we are visiting member schools, looking at ways to collaborate and also working on expanding the network. As an educationist and a social activist I have come across several models of development. There is amazing work being done by different agencies on Sustainable development, Social Services, Culture & Diversity Issues and Environment protection. All these great organisations are contributing in their own way to make this world a better place to live in. The Education 2030 Framework outlines the most important areas for achieving sustainable development. “The Sustainable Development Goals (SDGs), otherwise known as the Global Goals, are a universal call to action to end poverty, protect the planet and ensure that all people enjoy peace and prosperity. Ultimately we would like to use this platform to build a community of SDG advocates from all around the work to share, inspire and learn from each other. We will be showcasing the successful projects of our partner global minded schools. Any contributions are most welcome.